Pakistan Prime Minister Imran Khan refused to comment on China’s treatment of Uighur Muslims, instead choosing to evade the question stating that he does not know much about it. 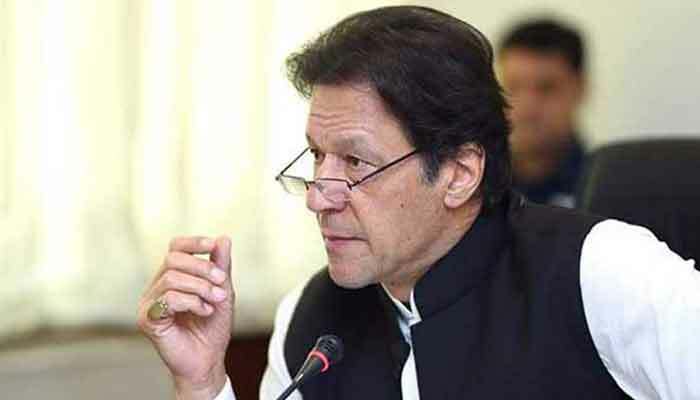 In recent weeks, Imran Khan has been very vocal, vociferously speaking out about the terrorist attacks in New Zealand and hailing New Zealand’s Prime Minister as a champion. But when he was pushed on the treatment if the Uighur’s he avoided any sentiment of being critical towards the Chinese. “Frankly, I don’t know much about it,” said Khan, when asked about it during an interview with Financial Times regional correspondent Stephanie Findlay. When the interviewer pointed out that Turkey’s leader Erdogan has been a vocal opponent of the issue and has commented that it was a “great shame on humanity,” the cricketer-turned-politician added ” if he knew enough about the issue he would comment.” and then abruptly terminated the interview. Some have suggested, he didn’t expect to encounter these type of questions by the FT and had not prepared his answers, others suggest he simply didn’t want to anger China. Mr Khan voiced his fears during an interview with the Financial Times Asain correspondednt, Stephanie Findlay, in which the former cricket captain also promised to resurrect Pakistan’s economy and denied that the country had become a client state of China. The western world has long criticised the treatment of the Uighur Muslims in China who have spent time in captivity and detention. A very well documented event which is similar in nature to the case of Rohingya in Burma. For the Prime minister to suggest he does not know about the issue and evade the question, fuels the speculation that China’s influence in Islamabad is growing. Islamabad has been forging ever closer links with Beijing but Mr Khan challenged claims that Pakistan had become a client state of China under the $60bn China-Pakistan Economic Corridor, centred around the new seaport in Gwadar. The Pakistani leader did, however, state that he was concerned about the rise in Islamophobia and suggested this is the worst period for Muslims in their entire history. Pakistan and India narrowly avoided a full-blown conflict following the February 14 suicide bombing that killed more than 40 Indian paramilitary police. New Delhi broke its long-held policy of strategic restraint and launched an air strike on an alleged terror training camp inside Pakistani territory. Islamabad responded with air strikes on Indian military installations near the de facto border and shot down an Indian warplane, capturing a pilot. Imran Khan, alongside President Erdogan of Turkey, are being championed as the best leaders of the Muslim world and his supporters would feel let down about not speaking out about the Uhigors persecution in favour of angering China. Ironically, his political party is called Pakistan Tehreek-e-Insaf (PTI) which translates to “Pakistan Movement for Justice” founded by the cricketer in 1996.